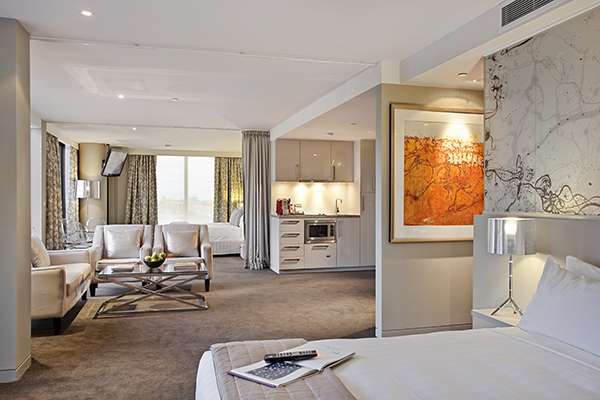 Be inspired and mesmerised by the sheer style of the Lake Eyre Penthouse. Capturing the creative flare and charisma of John Olsen, as well as the energy and buzz of Chapel Street, you will experience the ultimate luxury accommodation in Melbourne. 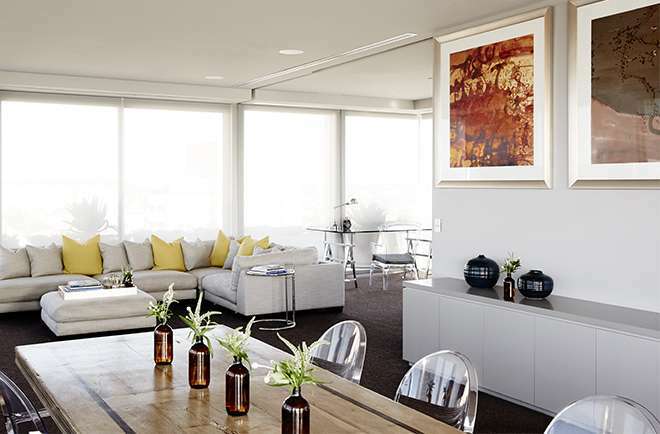 Located on the 14th floor, The Lake Eyre Penthouse offers an expansive living space both inside and out. The large open-plan design includes both lounge and dining room spaces as well as a master king-sized room featuring signature Art Series bedding. 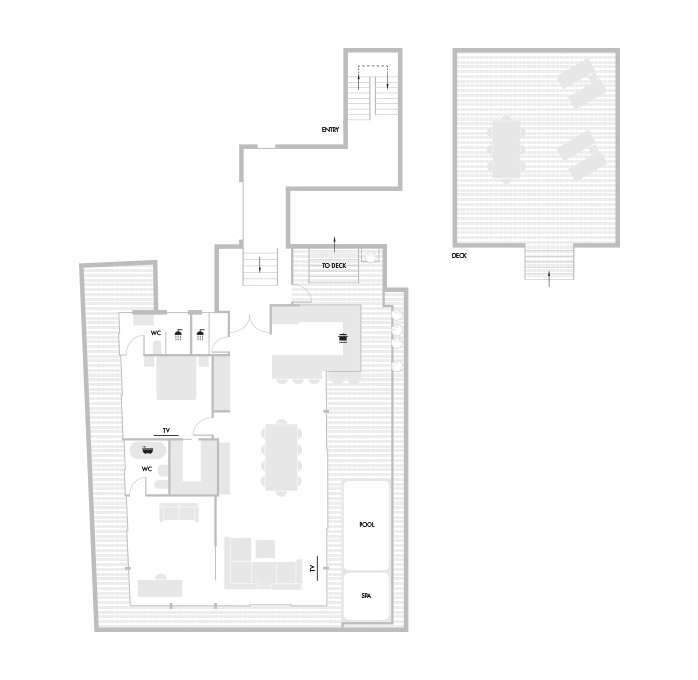 Alongside this, the penthouse features a vast outdoor entertainment area and also includes its own herb garden, vitamin D therapy deck, and separate cold 17-degree plunge pool and 30-degree hydrotherapy spa, providing the ultimate in relaxation and detoxification. Plus you'll have complimentary access to our eco-friendly Smart Cars to make zipping around town easy. 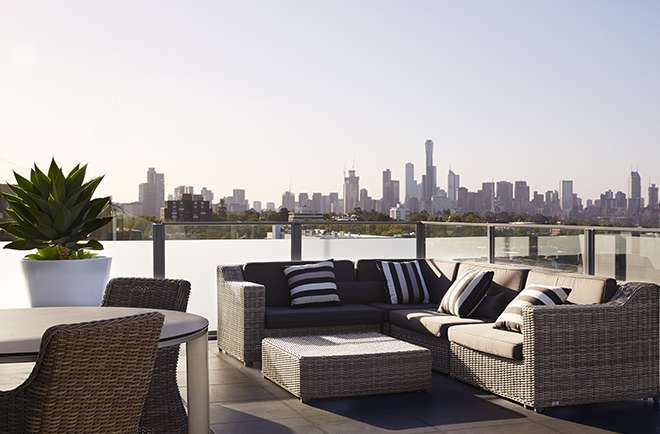 Enjoy the spectacular sweeping Melbourne CBD skyline views or take in the sights of Chapel Street, Melbourne’s premier shopping strip. 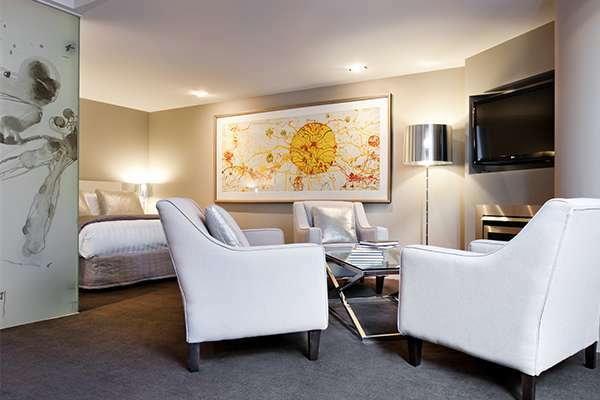 The ultimate luxury accommodation in Melbourne, the Penthouse is highlighted by original John Olsen artworks to make your stay that little bit extra special.